As the best HTPC media centre software, Kodi is always popular on the internet. If you ask what drawback Kodi has, that will be the lack of Blu-ray decoder. Kodi can play DVDs without hassle and is also able to play unencrypted Blu-ray discs. Unfortunately, most of the commercial Blu-ray discs you bought or rented online would have encryption. Kodi has recently updated to Kodi 17 which has added some more supported Blu-ray and I wonder if Kodi 17 can play Blu-ray discs movies. To figure out if Kodi 17 has more power to stream Blu-ray discs, I tested Kodi 17 with The Revetant Blu-ray disc. I downloaded Kodi 17 on my PC. Insert the Blu-ray disc to external Blu-ray Drive and launch Kodi 17 to open the video. It shows my movie in Kodi 17. 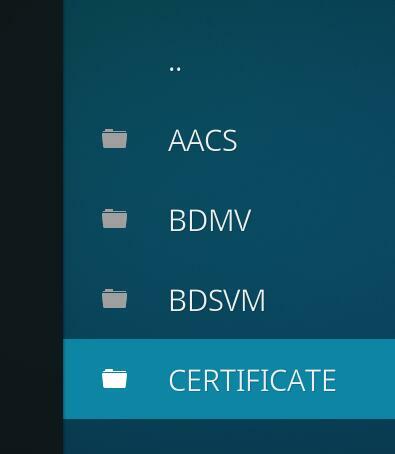 I clicked the movie and it shows AACS, BDMV, BDSVM and CERTIFICATE files. 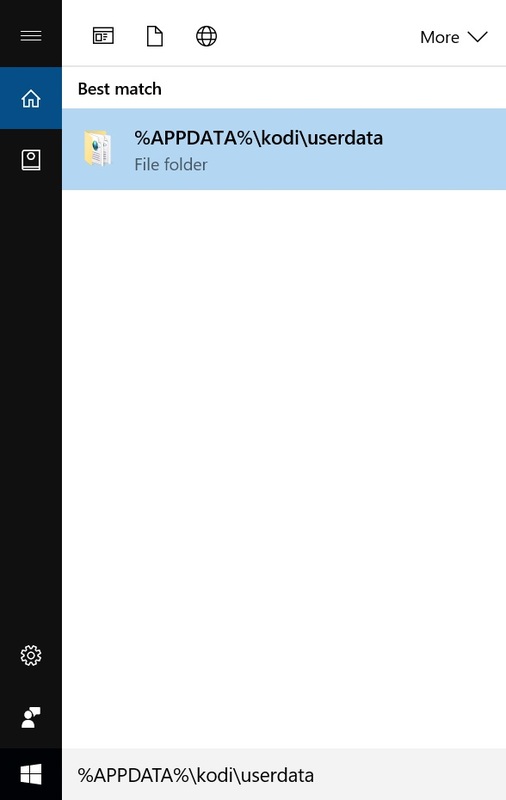 I know that the main title is in STREAM folder from BDMV. I got finally and saw the chapter lists. There are many chapter lists and I found the longest one about 5.7GB, which was the main title of the Blu-ray movie. Now, the final step is start to play the main title. Click the 00200.m2ts file but unfortunately nothing happened. I have tried several times and also tested to play a DVD in the same Kodi on same PC. Then I discovered the truth: Kodi 17 can play DVDs but still can't play Blu-ray discs movies. I have digged around and got a conclusion that we have other ways to stream Blu-ray movies on Kodi 17 although it doesn't natively support BD discs. You can set up an External Player in Kodi to play Blu-ray discs and rip Blu-ray to unencrypted one for Kodi. There are many PC Blu-ray player in the market that can make Kodi play Blu-ray discs movies. You can download free packages available on the internet but it is recommended to buy a PC Blu-ray decoder for the safety. 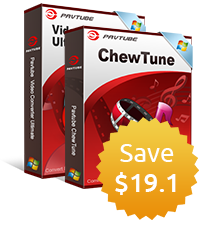 Cyberlink PowerDVD 16 Ultra is the best option. It will give you the best possible video and audio playback that will beat the most expensive physical Blu-ray players out there. In addition, Cyberlink PowerDVD 16 Ultra is currently the only PC Blu-ray player capable of launching 3D Blu-ray discs! Now, let's start to set up Cyberlink PowerDVD 16 Ultra in Kodi for Blu-ray playback. It will display the Kodi Userdata folder at the top of the Window as shown in the image below. If you are using an older version of Windows you can get to this folder using a standard “Run” command. Click on the folder at the top and it will take you to the Kodi Userdata area. Next right click somewhere in that folder and select “New” and then “Text Document”. It will create a new text document and you now need to rename this file to playercorefactory.xml . Make sure that you have the folder set to show file extensions so that you can edit the full name of the file. When you have created the file open it with Notepad. Within this file you can configure any external players that you want to use with Kodi. I have included below the text required to configure the Cyberlink PowerDVD 16 Ultra for Kodi Blu-ray disc playback because this is the top Blu-ray decoder. Copy this text into your new playercorefactory.xml and save it. A couple of things to note. If you are using an alternative Blu-ray decoder to Cyberlink PowerDVD 16 Ultra or you have changed the default installation path of the application you need to enter the correct path for your decoder between <filename> and </filename> shown in red. Also my Blu-ray drive uses the drive letter D:\. If your drive uses a different drive letter you must specify this between <args> and </args> shown in blue. All other settings can be left as above because they will suite most players. I am using a custom skin but the menu steps are the same. Where it says “Play DVDs automatically” put a tick in the box. This will ensure that Kodi launches your Blu-ray disc when inserted. If you do not tick this box your Blu-ray movie will appear at the top right of the Kodi application when you put the disk in. And that’s it! You can now play Blu-ray with kodi. You now have Blu-ray playback in Kodi using Cyberlink Power DVD 16 Ultra as an external player. Go back to the Kodi home screen and insert your Blu-ray movie. If you have have followed these steps correctly you movie should auto start and begin playing. This method is originally posted in homemediaportal.com. I have extracted the main steps here. If you want, you can click here to see the full post. Comparing to the method 1, this method will be easier. XBMC/Kodi can play media from unencrypted Blu-ray Discs. So we just need to make your Blu-ray discs unencrypted with some Blu-ray Decrypter tools. It is easy to do to it. If you install Pavtube ByteCopy (not free, but has a trial version) it will remove the copy protection from the Blu-ray disc on the fly, allowing it to be played in Kodi. 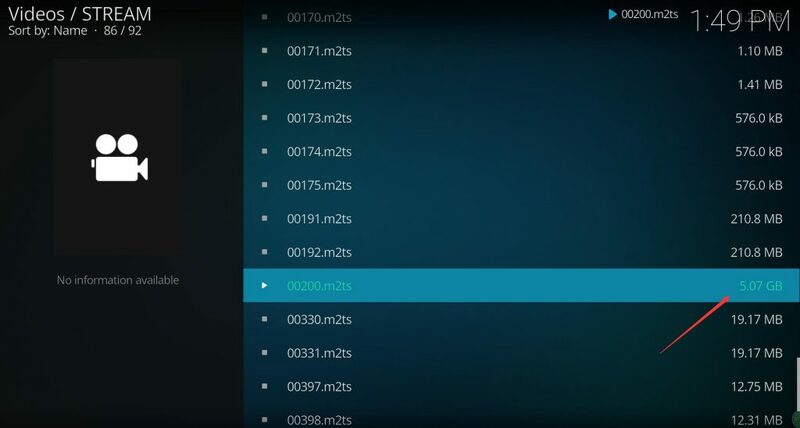 Kodi will bring up a simplified menu that allows you to select what it thinks that main movie is. ByteCopy works well for Blu-ray disc that contain episodes. It can rip TV shows Blu-ray to seperate episodes for Kodi playback. It also can rip encrypted Blu-ray movies to uncrypted Blu-ray BDMV folders or M2TS files for Kodi/XBMC and convert Blu-ray movies and TV shows Kodi supported video formats. In the Blu-ray to Kodi conversion process, you can keep the Dolby Digital 5.1 sound, TrueHD 7.1 audio, DTS-MA audio. It can rip 3D Blu-ray to 3D MP4, 3D MKV, 3D WMV, 3D MOV, 3D AVI for Kodi 3D playback. Before you get to copying or converting Blu-ray to Kodi, you can preview the video files using the built-in player that the application is fitted with. Pavtube ByteCopy also comes with a tool that allows you to create your own videos. You are free to choose video and audio encoder, bitrate, frame rate, channel, etc and you also can trim, crop, merge, split, add subtitle to videos with built-in video editor. Step 1: Click “File” to find “Load from disc” to import source Blu-ray movies to Encrypted Blu-ray to Kodi software. If you have some DVDs, you also can load to convert to Kodi supported digital formats. You also can choose to convert Blu-ray to Kodi supported MKV, MP4, AVI, MOV, etc format. 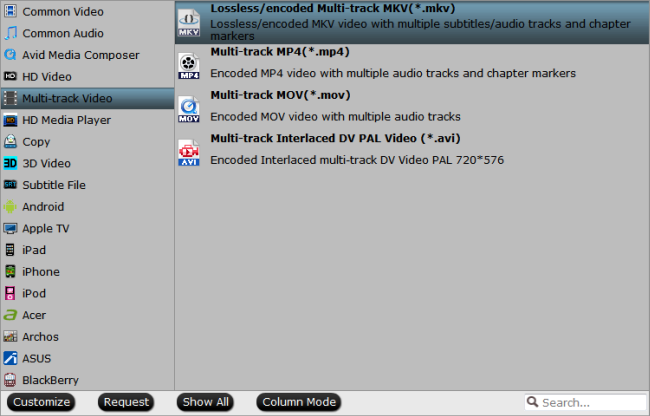 If you choose to convert Blu-ray to MKV, you can select lossless MKV format in "Multi-track Video". 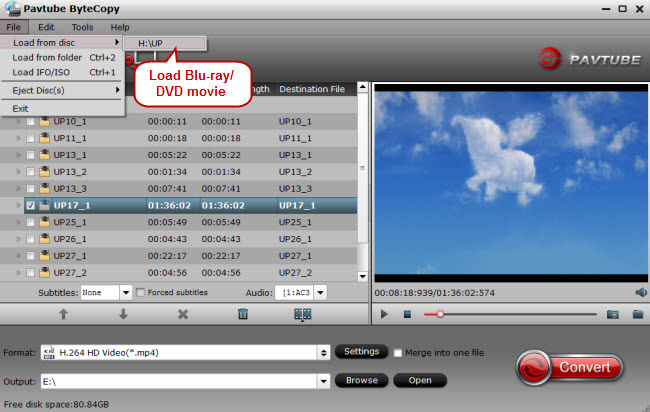 In this way, you can keep lossless image and sound quality and all the subtitle and audio tracks. 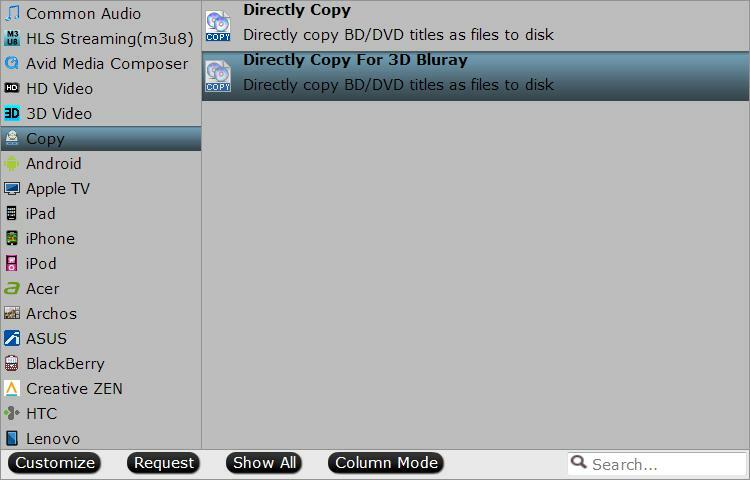 Step 3: If you choose the second or third way to copy Blu-ray to Kodi, you need to hit the “Convert” button in bottom right corner to start Blu-ray main movie copy or Blu-ray to MKV, MP4, MOV and AVI conversion. When the process is completed, open output folder and find the ripped Blu-ray file. After the ripping, you can play Blu-ray on Kodi freely. Just run the Kodi and open the video from the folder where store your data. You can choose any method above to play Blu-ray movie on Kodi and get the software you need below.